At Jaguar Colorado Springs we have a super selection of Jaguar vehicles available that are perfect to finish out summer driving! That inventory includes this stylish Approved Certified PreOwned 2015 Jaguar F-Type Coupe – the most luxurious way to travel around town and on a weekend trip to the mountains! This coupe has less than 18,000 miles on it and is priced at less than $48,000! Equipped with a 3.0L V6 supercharged engine, you can expect an estimated 20 MPG city/28 MPG highway fuel economy. Plus, you are going to get other great features including performance seating, switchable active sports exhaust, InControl Apps, panoramic glass roof, and so much more. This one-owner F-TYPE, an Approved CPO vehicle, also gives you added benefits including a 6-yr/100,000-mile limited warranty, 165-point inspection, and even 24-hour roadside assistance. 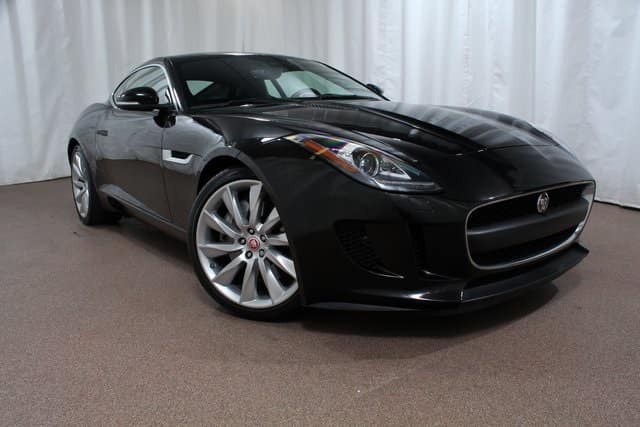 So, stop into Jaguar Colorado Springs to check out this luxurious 2015 Jaguar F-Type Coupe! Our friendly Jaguar experts can tell you all about this feature-filled coupe and the many benefits of buying an Approved Certified Pre-Owned Jaguar.